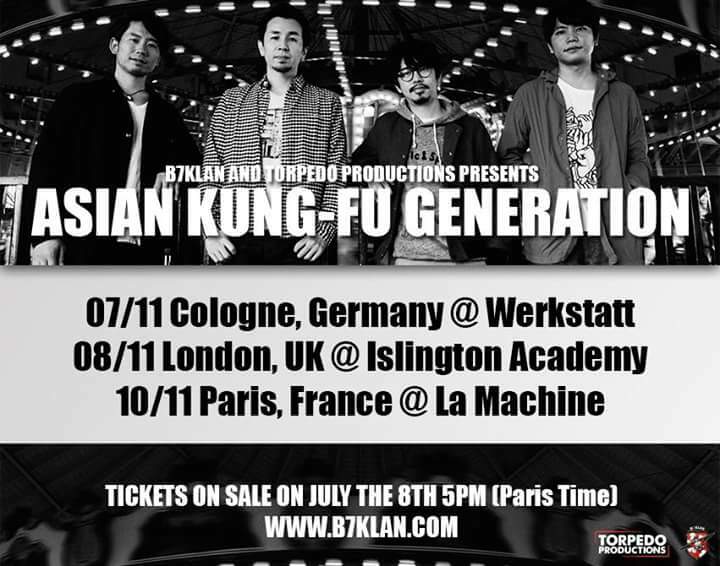 Asian Kung-Fu Generation on Tour! Tickets will go on sale on Wednesday! Last time their London performance packed out so be sure to grab your tickets quick!